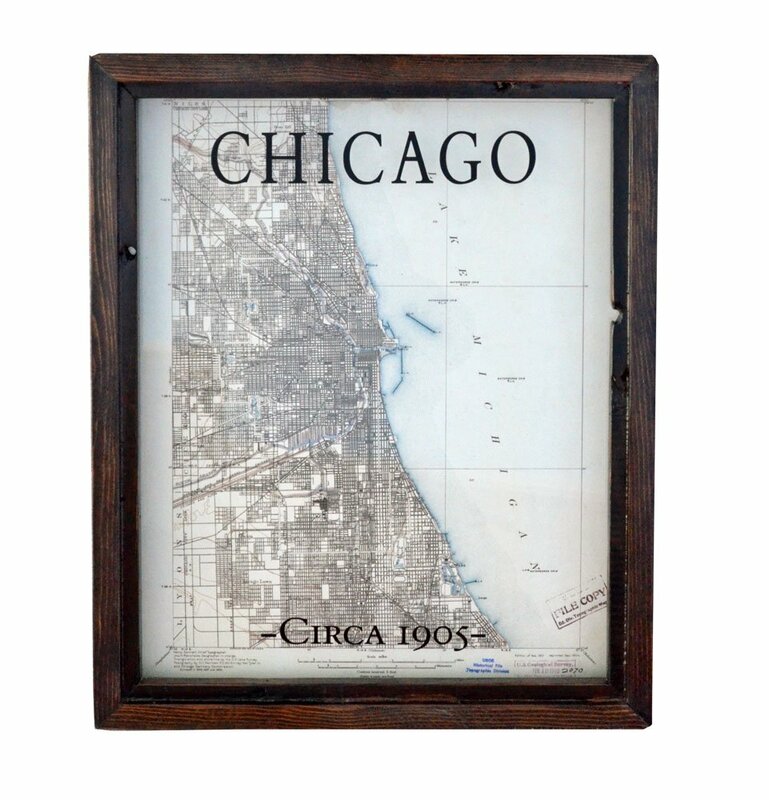 This beautifully framed Chicago Quadrangle survey map is a newly printed copy of a 1905 survey map. The frame is hand crafted from reclaimed barn wood, with a dark stained finish. 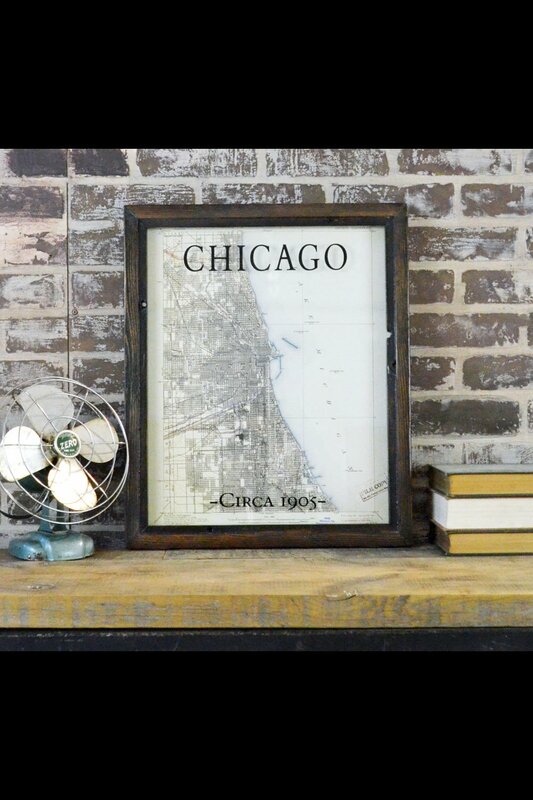 Lettered accents on the glass add interest to this artwork. 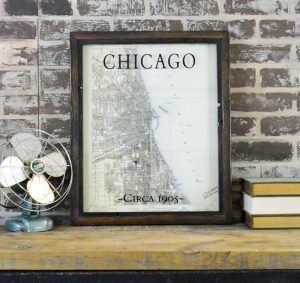 Size: 17.25 x 20.75″. Makes a great gift! This Chicago Quadrangle Survey Map is a reproduction (newly printed copy) of a 1905 survey map. 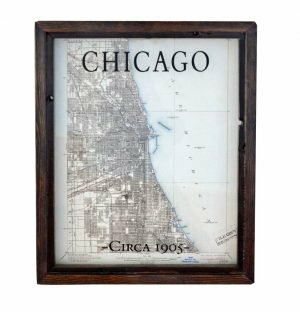 Framed beautifully in rustic barn wood, this art has lettered accents on the glass – creating a unique focal point for your home or office! Add this beautiful Chicago quadrangle map to your home or office! Makes a great gift!